Today, most of lithium-ion batteries, which power everything from phones to cars, use a liquid as the electrolyte between two electrodes. Although a solid electrolyte could offer major benefits for safety and energy storage capacity, its effort to do this have faced unexpected challenges. According to Researchers, the problem could be an incorrect interpretation of how these batteries fail. The new study could lead to development of lithium batteries with solid electrolytes. The research findings are reported in the journal Advanced Energy Materials, in a paper by W. Craig Carter, the POSCO Professor of Materials Science and Engineering at MIT; Yet-Ming Chiang, the Kyocera Professor of Ceramics at MIT; and eight others. The electrolyte in a battery is the material present in between the negative and positive electrodes, a sort of filling in the battery sandwich. When the battery gets drained or charged, ions (electrically charged molecules or atoms) pass through the electrolyte from one electrode to the other. However, these liquid electrolytes are flammable, and they have been responsible for some fires caused by these batteries. They are also more likely to form dendrites — thin, fingerlike metal projections that rise from one electrode and, if they reach the other electrode, they can cause a short-circuit that could damage the battery. Researchers used an electrolyte made up of solid materials, such as some ceramics, to get around these problems. This could help eliminate the flammability problem and offer other big advantages, but tests have demonstrated that these materials tend to perform a bit erratically and are very much prone to short-circuits than expected. According to this study, the problem is that investigators have been concentrating on the wrong properties for a solid electrolyte material in their search. The current idea was that the firmness or squishiness (a property called shear modulus) of the material determined whether dendrites could go through the electrolyte. However, the Researchers found that the new study revealed that the smoothness of the surface matters the most. Microscopic nicks and scratches on the surface of the electrolyte can provide a foothold for the metallic deposits to begin to force their way in. This suggests that simply focusing on obtaining smoother surfaces could greatly reduce or eliminate the problem of dendrite formation in batteries with a solid electrolyte, Chiang said. This approach, besides eliminating the flammability problem linked to liquid electrolytes, could also make it possible to employ a solid lithium metal electrode. This could potentially increase the energy capacity of a lithium-ion battery — that is, its ability to store energy for a specified weight, which is essential for both portable devices and vehicles. The formation of dendrites, leading to eventual short-circuit failures, has been the main reason that lithium-metal rechargeable batteries have not been possible. Lithium-metal electrodes are generally used in non-rechargeable batteries, but that’s because dendrites form only during the charging process. At first, the problem of dendrite formation in lithium rechargeable batteries was recognized in the early 1970s, Chiang says, “and 45 years later that problem has still not been solved. But the goal is still tantalizing,” because of potential to increase the capacity of a battery by using lithium metal electrodes. In the past few years, several groups have been seeking to develop solid electrolytes in order to enable the use of lithium metal electrodes. There are two major types being worked on, metal oxides and lithium phosphorus sulfides. With all these research efforts, a prevailing thought was that the material had to be stiff, not elastic. However, these materials have tended to reveal confusing and inconsistent results in lab tests. The idea made sense, because a stiffer material has to be more resistant to something trying to press into its surface. 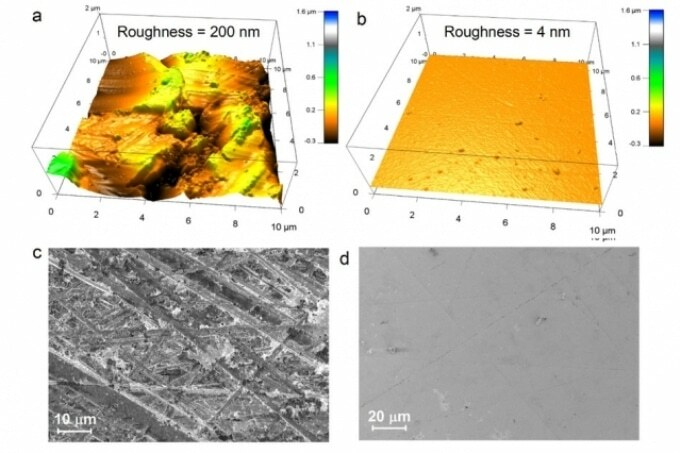 However, the new work, where the group tested four different varieties of potential solid electrolyte material samples and observed how they performed during charging and discharging periods, revealed the way in which dendrites actually form in stiff solid materials is completely different from those that form in liquid electrolytes. On the solid-state surfaces, lithium from one of the electrodes starts to be deposited, through an electrochemical reaction, onto any small defect that exists on the surface of the electrolyte, including tiny pits, scratches and cracks. Once the initial deposit forms this defect, it continues to develop — and, surprisingly, the buildup extends from the tip of the dendrite, not from the base, as it penetrates into the solid, working like a wedge as it goes and opening a wider crack. I believe that this high-quality and novel work will reset the thinking about how to engineer practical lithium metal solid-state batteries. The Authors have shown that a different mechanism governs lithium metal shorting in lithium solid-state batteries than in liquid or polymer lithium metal batteries where dendrites form… This implies that if lithium metal solid-state batteries are ever to have practical current densities, then careful minimization of all structural defects at the lithium metal and electrolyte interface is essential.